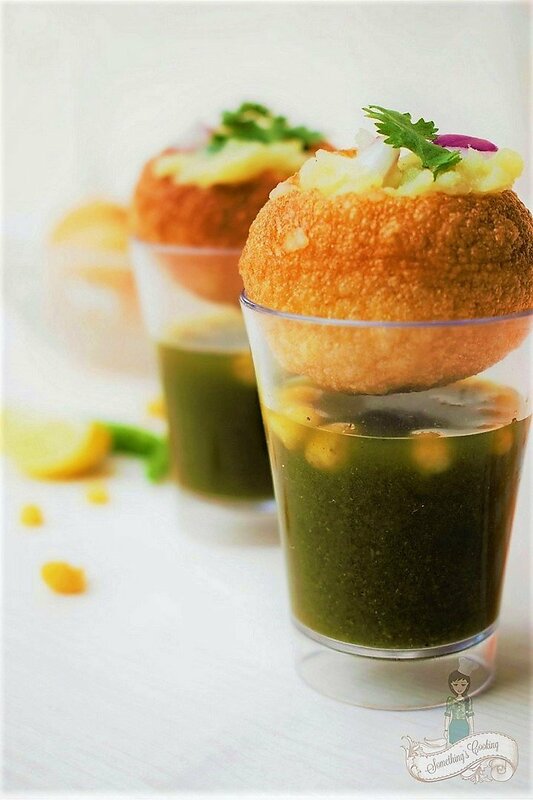 Ask us which is the most popular street snacks in India, and without a blink of the eye, we will say, Pani Puri! Stuff your mouth with one puri and you are in for a delectable explosion of flavors – sweet, sour, tangy and spicy! 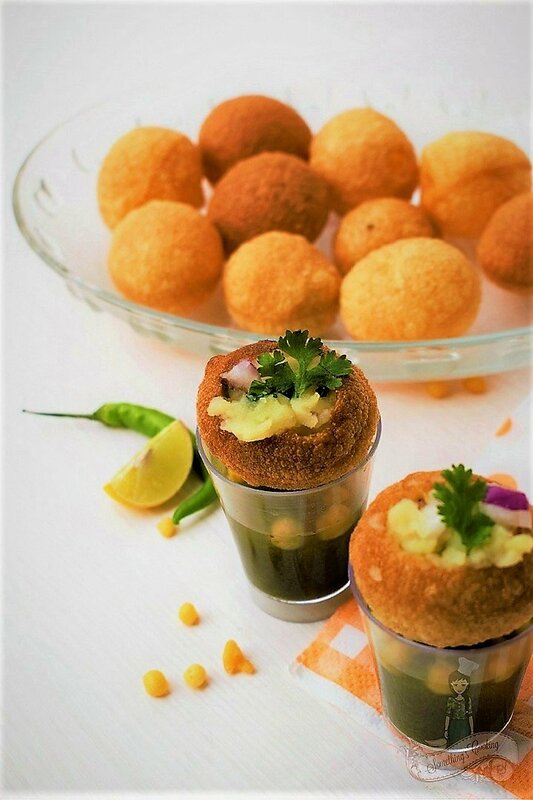 Pani Puri is also called as Golgappe and Puchka in different parts of India. It is composed of different elements, namely puri (round, hollow, crispy and deep-fried), pani (flavorful water made of tamarind, green chilies, mint and coriander leaves) and a stuffing (made of potatoes and/or chickpeas, onions and spices). It is simple to prepare and assemble these elements. These days we can easily find fried puris at any Indian supermarket. You can also get puris that can be deep fried at home, just like pappads. I have used this Puri on preparing this recipe. If using chickpeas, soak it overnight. Boil chickpeas and potatoes together. Mash the potatoes. Mix together the mashed potatoes, boiled chickpeas, coriander powder, red chili powder, cumin powder, chaat masala powder, salt, and coriander leaves. Grind together mint leaves, coriander leaves, green chili, ginger and lemon juice to a smooth paste. Transfer to a bowl and add salt, sugar, chaat masala powder, black salt, tamarind juice and about 3-4 cups of water. Mix well and keep aside. Fry about 15 Puris in oil and keep aside. Take a Puri and make a small hole in the center. Oh, do not crush the Puri. Be gentle. Add a spoonful of stuffing. Top it with finely chopped onions and sev. Add the Pani into the Puri. Pop the entire assembled Puri into your mouth – Chew – Relish the burst of flavors – Bliss – Grab another one! Fry the puris and keep aside. If using chickpeas, soak it overnight. Boil chickpeas and potatoes together. Mix together the mashed potatoes, boiled chickpeas, coriander powder, red chili powder, cumin powder, chaat masala powder, dry mango powder, salt, and coriander leaves. Keep aside. Grind together mint leaves, coriander leaves, green chili, ginger and lemon juice to a smooth paste. Transfer to a bowl and add salt, sugar, chaat masala powder, black salt, tamarind juice and water. Take a Puri and make a small hole in the center. Top it with finely chopped onions and sev. Add the Pani into the Puri. Pop into your mouth and relish the taste. I too love pani puri. 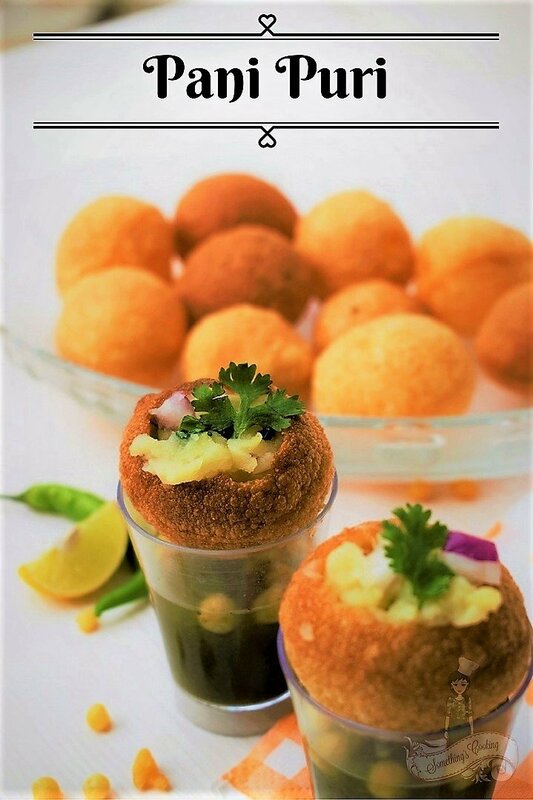 My love for it started at the age of 5 when I knew it as Golgappa. Along with mint flavoured juice, I also make dates and tamarind chutney. Good shots. 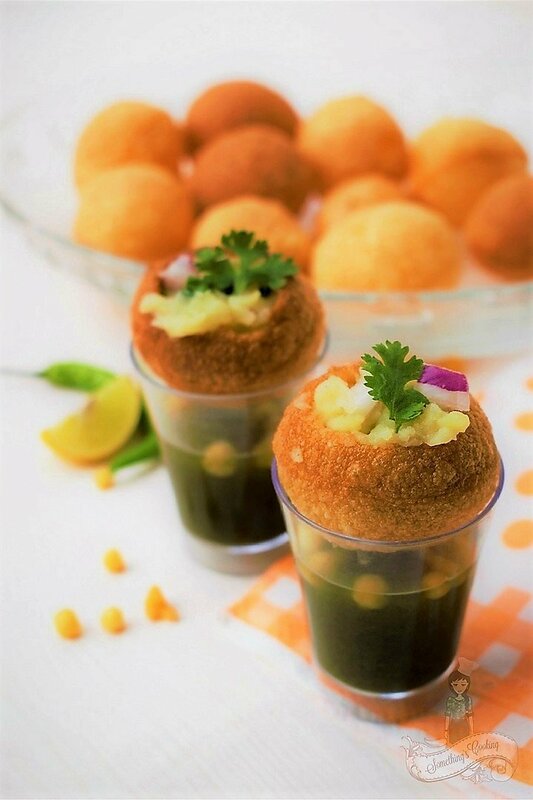 Pani Puri…my all time favorite snack. I cannot say no to Pani Puri. Seeing the pictures, I feel like having it now. I love how you have been picking up all the best of the Indian dishes 🙂 I know it could get tough when it comes to pick Indian cuisines cause there is so much variety out there and from so many regions <3 You are doing a good job. I am still curious about Z!!!! My favourite snack!!!!! Sent my salivary glands into overdrive. Also loved the pics of pani served in shot glasses…..good idea!!! I loveeeeeeeeeee pani puri! It is just a burst of flavors in the mouth. I have never made it at home though until now. Maybe I’ll try it this weekend. Great pics and I am craving for it now. Going to a chaat shop now. At my in laws place we get 7different types of water with panipuri. Shalini, loved your presentation. Pani Puri is heaven!! Your presentation looks gorgeous, Shalini! Awesome pics! When I make it at home, I use the readymade masala usually. And add boiled safed watana instead of chickpeas. Both taste more or less the same though. Sounds amazing but looks like lots of work to make. I’m going to see if I can find a restaurant that serves pani puri. yum yum, I am salivating. I love pani puri to death! Yes, I fell for it years back and have been a fan ever since. But I prefer to eat it sparingly though, only from trusted places. For me, this one always wins hands down for the flavour, the tanginess and the sheer delight. 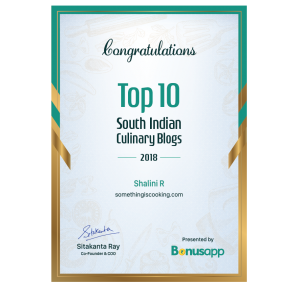 Great post, Shalini.